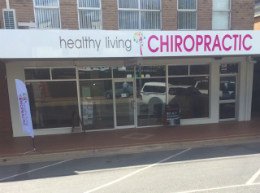 Chiropractor Dr Saxon Selvey (chiropractor) took over Healthy Living Family Chiropractic in 2005 and has served the Wodonga and Albury communities for over 10 years. As a sole practitioner with a PhD background in cancer genetics, his depth of experience in various fields of health is used to the benefit of those seeking our help. At our practice, our patients receive the one-on-one attention they need to get out of pain and live a healthier, more active life! 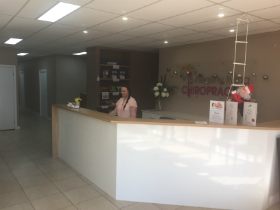 Dr Saxon (chiropractor) sees people of all ages and walks of life. We especially enjoy helping retirees, who may require more gentle treatment. Many of Dr Saxon’s fellow gym-goers also seek his assistance for both injuries and optimal performance. The bulk of our practice however, is regular families wanting to get healthy, stay healthy and have a great life. The purpose of your spine is to send nerve signals regarding position and movement, to your brain. The brain can then comprehend the body and the environment correctly, to send correct signals to the muscles and organs. “It’s like a supercomputer and an advanced robot covered in millions of sensory circuits with ultra high speed cables running through the spine connecting the two”. The purpose of a chiropractic adjustment is to remove interference from the nervous system, this promotes better communication between the brain and body. “When your spine is stiff and misaligned, thousands of sensory circuits shut down making areas of your body neurologically invisible to your brain”. Many people have found a great functioning spine and nervous system is the key to staying pain free, functioning at their best and enjoying a better quality of life. You will be warmly greeted and made to feel at home. We’ll get started on assessing your condition with a thorough examination. All the findings will be detailed in easy-to-understand explanations so that you know exactly how your spine relates to your condition. Every patient is unique, but typically short terms goals are to get people moving better and feeling better, medium term goals might be to get you back to doing activities you love, whether that be gym, gardening, golf or just walking. Long term goals may include improving posture and maintaining good spinal function to avoid the spine wearing out as the years go by. Supporting healthy lifestyles is what we love doing most! We welcome the opportunity to sit down and discuss what we can do to support your unique health goals. Contact us today!